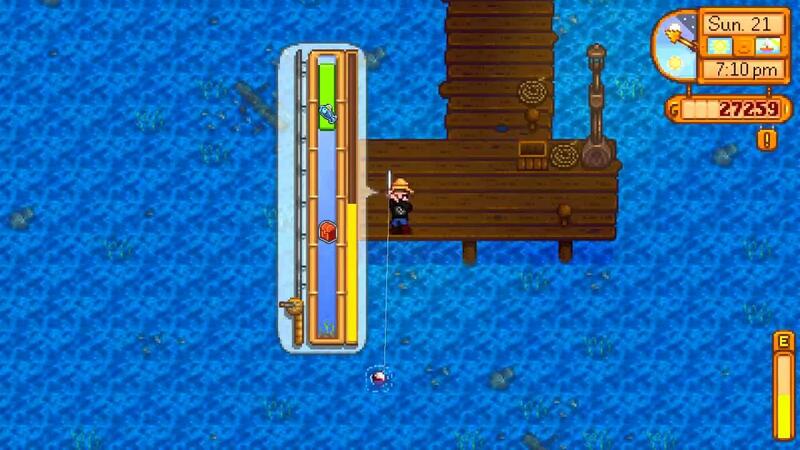 This guide will show you how and where to catch every legendary fish in Stardew Valley, also some tips and tricks, how to make catching these fish easier etc. 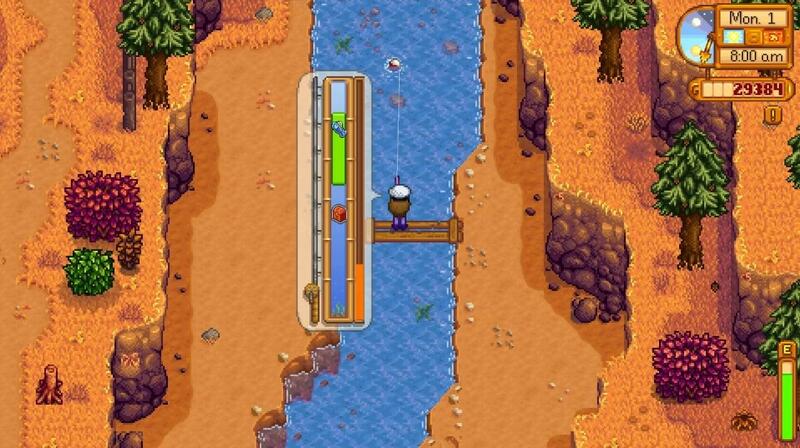 Hi guys, in this guide i'm going to show you how to catch every legendary fish in the Stardew Valley. I'll show you some tips and tricks and where to find them all. So at 100% you must have the iridium rod. 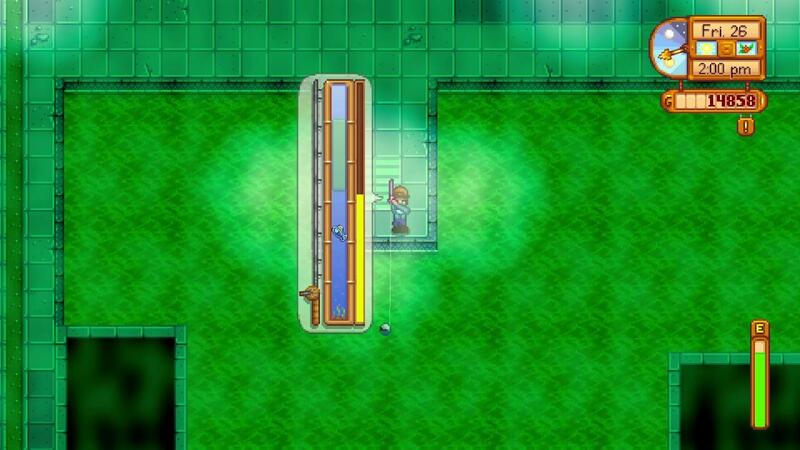 This rod is unlocked in level 2 (fishing skill) and you can buy it from Willy for 7.500g. It has a bait and a tackle. The best tackle to catch legendary fish in my opinion is trap bobber. I'm recommending you should have level 10 but it isn't needed. 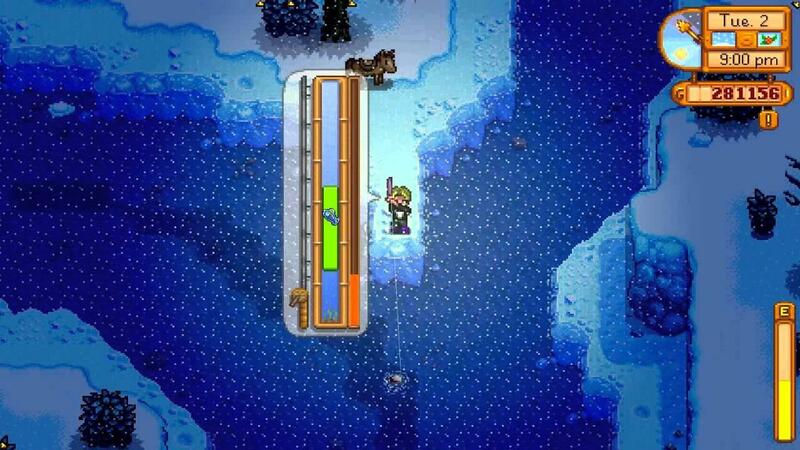 I was catching all of the legendary fish with level 11 by using the trout soup that you can buy from Willy, but if you have difficulties with catching legendary fish you can cook Dish O' The Sea, this will give you +3 levels, so it will make catching these fish really easy. 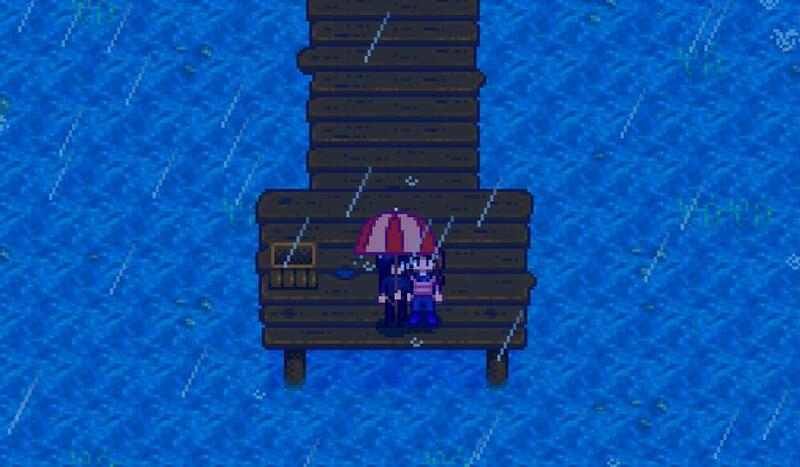 The next thing i want to tell you is how you can identify the legendary fish. When you first hook the fish, just look at the fish and if it has a crown on his head, you know it's a legendary one. One more thing you might find useful is when you're catching a fish and you know that it isn't a legendary and you don't want to catch her, you just can press 'E' and it will discard that fish and you can continue to catch another one. Next we have the Angler fish and this is probably the easiest legendary fish to catch. This one is caught in fall and it's caught just north of the Jojo Mart. 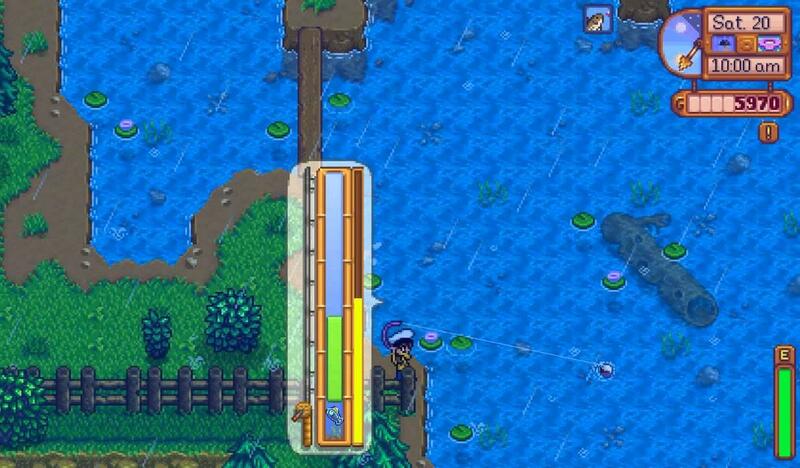 You should be able to catch it above the bridge and it's realy easy to catch it and it doesn't have any time limit. As one of the easiest fish it's something about 1.000g, so not too good.